It seems like each day brings a new way to celebrate the season. Cinnamon spiked coffees, cookie exchanges, kids making ornaments, houses twinkling with lights, lots of sparkling cocktails. Man, it is the best. The exhaustion can be real, so pace yourselves, friends. But one thing that can make it all even more fun, is a festive addition to your closet. Even just a piece or two that screams holiday gets you more excited for the event, plus makes getting dressed for them that much easier. 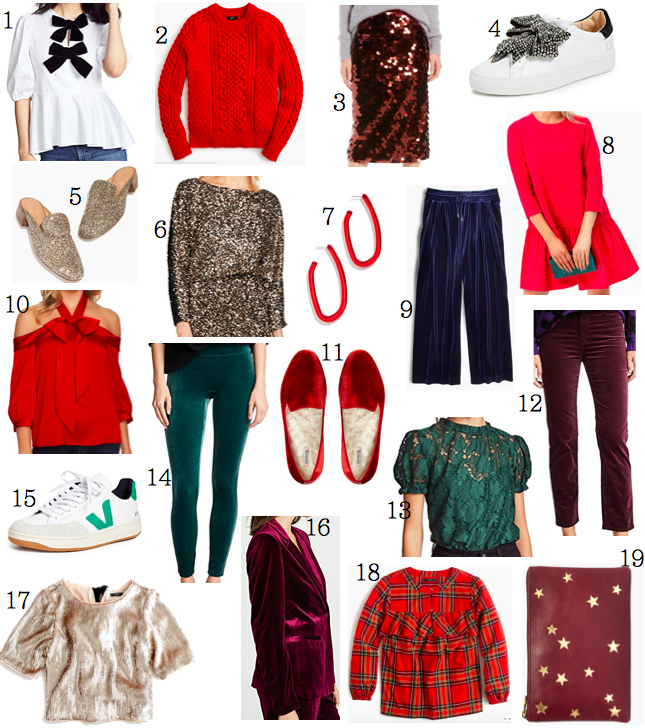 So hear are some fun options that can wear with your other faves for a bright and merry December. More Gift Guides coming your way next week! You can check out the other ones here.